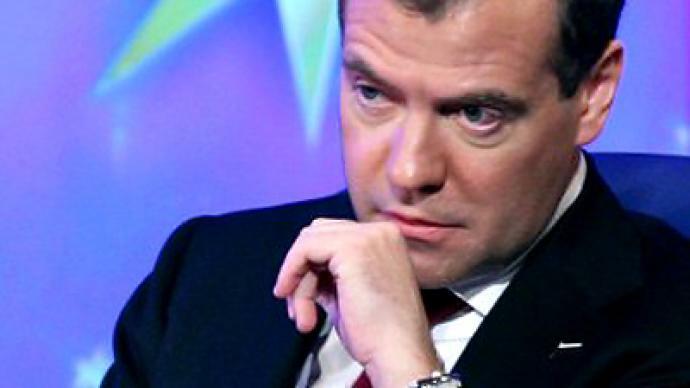 According to the Russian president’s special envoy in Africa, Mikhail Margelov, the idea of nominating Dmitry Medvedev for the Nobel Peace Prize for mediating in the Libyan conflict belongs to the Tunisian foreign minister, Muldi Kefi. ­Margelov shared the news with Russian journalists during a media briefing in Moscow on Saturday. Margelov said that the Tunisian authorities are certain the Russian president justly deserves the reward “even today” and “to a greater extent surely than US president Barack Obama, who got his Nobel in advance,” less than a year after entering office. Awarding the recently inaugurated American president Barack Obama the Nobel Peace Prize in 2009 sparked hot public debate worldwide, with the reasoning and phrasing of the award causing a great deal of headscratching. 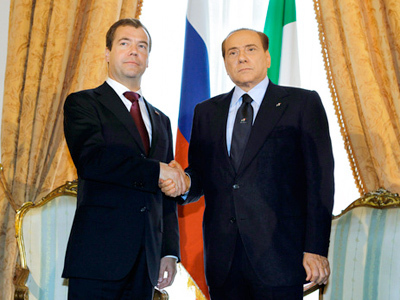 Since February 2011, when the civil war started in Libya, Russia has consistently stuck to a neutral position. 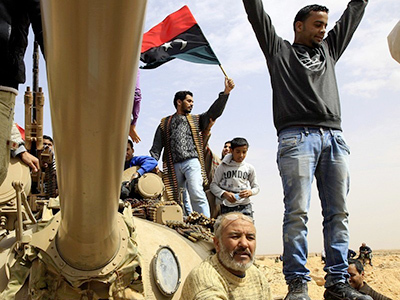 Then, once Moscow established contact with the rebels’ National Transitional Council in late May, Russia offered to become an intermediary power to settle the conflict in Libya. 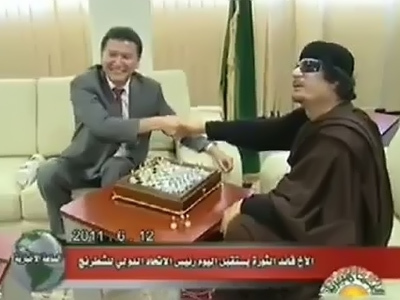 Mikhail Margelov returned to Moscow on Saturday after his official visit to Libya where he held talks with both the pro- and anti-Gaddafi sides. 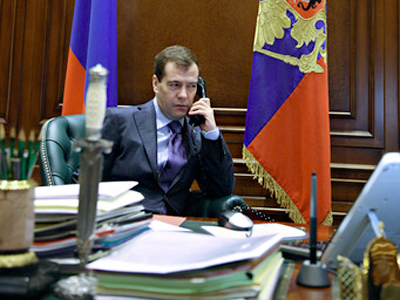 In the course of negotiations, Margelov stressed that Moscow intends to send humanitarian aid to both sides. In order to expedite the peace process, Russia has agreed to consider the insurgents’ National Transitional Council as a legitimate party in the negotiations, but has refused to recognize it as Libya’s official authority. 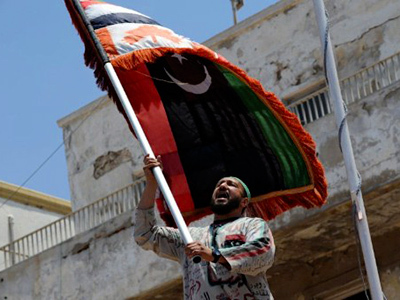 Tunisia to host talks between Libyan adversaries? ­Tunisia is ready to host roundtable talks between Colonel Gaddafi and opposition rebels. The Kremlin's special envoy in Libya, Mikhail Margelov, says negotiations will happen on the island of Djerba only if Russia and the African Union mediate between the two sides. 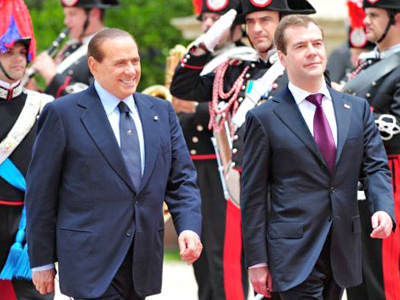 According to Margelov, the rebels see Russia as a key partner in overseeing any possible talks. The NATO campaign has also come under pressure in Washington, where President Obama has been accused of breaking American law by not asking Congress for permission to extend US military involvement, while the White House says it doesn't need approval.